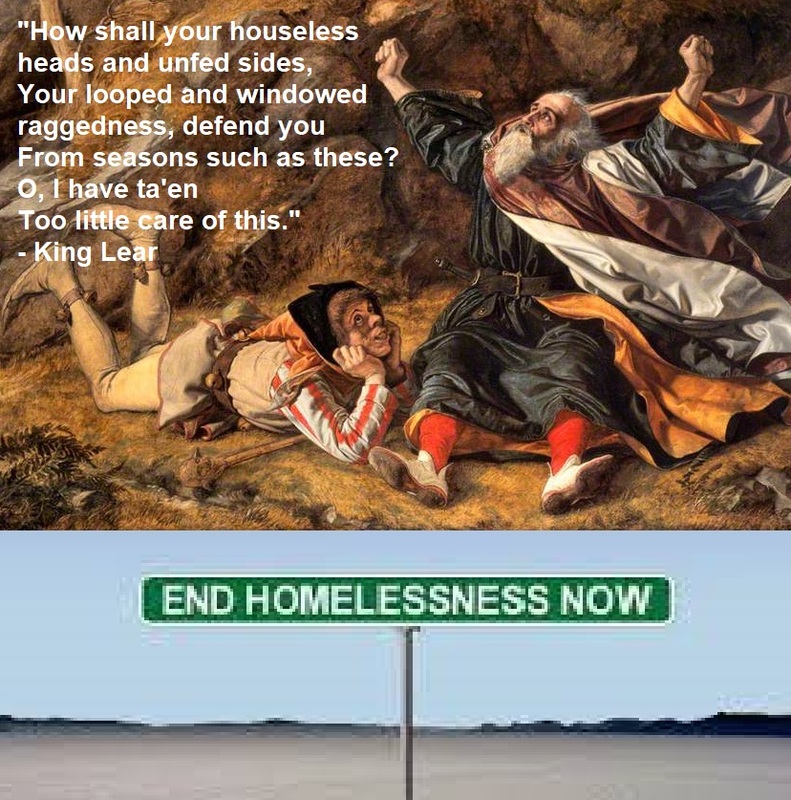 This free public discussion – open to all members of the public – follows a Sunday 2:30 pm matinee performance of a homelessness-themed King Lear at the Gladstone Theatre. Too little care of this. Take physic, pomp.